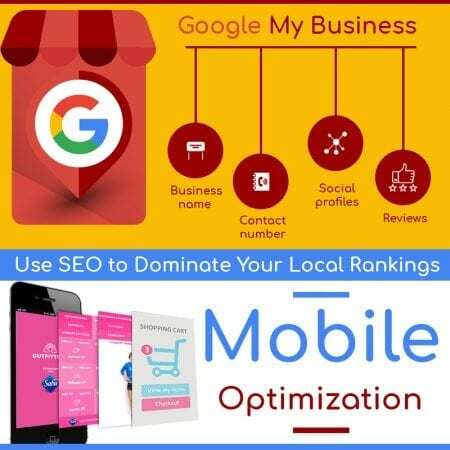 Local SEO is one of the SEO best practices that businesses are really starting to use today. This is because they’re taking notice of how many people are using search engines when they need answers or to find a business in their neighborhood. Regardless of the size of your business, you need to take some specific steps to help you with these rankings. This tool is often overlooked but Google uses it in its local SEO results. Since every business qualifies for one, you should claim yours then optimize it to its fullest. This is the process of optimizing your content for three things relevance, quality, and keywords. Keywords are the most basic, but most essential form of optimization. You’ll want to include enough of them for Google’s crawlers to pick up your site’s relevance for certain search queries. Although this has been around for as long as SEO it’s growing much more temperamental with age. Now it’s more important than before to not oversaturate your content. Of course, too few keywords and your competition will come out ahead. It’s also important to remember Google’s Hummingbird algorithm update made it so that other things besides page ranking (e.g. local SEO) were important. These things included high quality, valuable content that provides information to your readers. It must be naturally optimized for your target search term because this is the type of content that your audience and Google crawlers are looking for. This means that you don’t want to create spammy keyword-saturated content. Doing so could result in your website being penalized. Link building helps increase domain authority and trust. However, this only works when your links are valuable – meaning they’re legitimate, relevant and valuable for your reader. These should come from another local business with high-authority when you’re working on your local SEO. They help Google realize and understand how important your business is to your community. Regardless of the size of your business, you need to use local SEO today. However, this can be somewhat tricky to do since there are some specifics you must understand and follow. Let ISEOU help you put these things to work for your website so you can work your way to the top of Google’s SERPs.